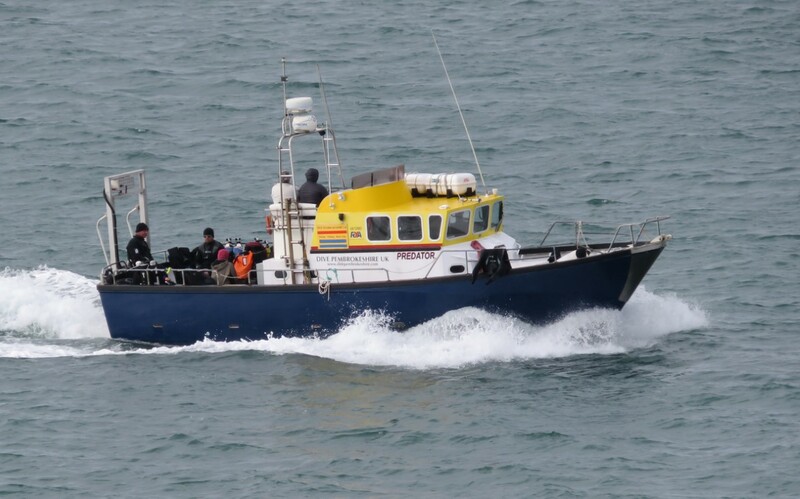 Weather settled and highlight of weekend was the dive on The Faraday on Sunday. 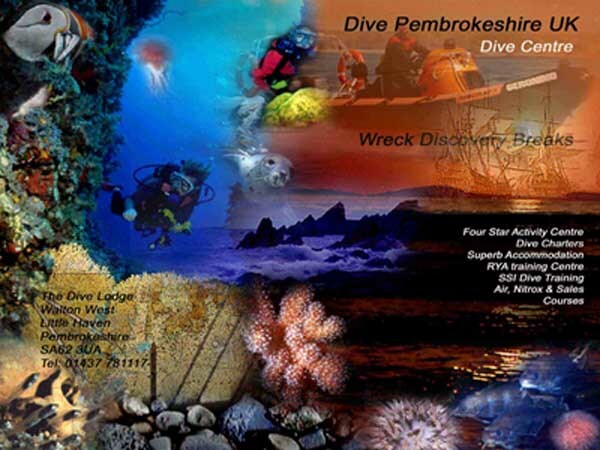 Cardiff SAC there as well and we have put their video onto our Dive Pembrokeshire Facebook page. Weather had been unsettled so effected the vis. Dived Dakotion and Watic Reef on Saturday. Divers earned themselves some pocket money by retrieving a fishermans anchor from the Dakotian. Got out to Skomer on the Sunday. Club very good. Said they had a great weekend and said boat rides spectacular. Fabulous weather and great vis. 25th - Dead Eye, 5 metres, Behar, 7 metres. 26th Nicolas Virginia, 10 metres, Watic Reef 5 metres. 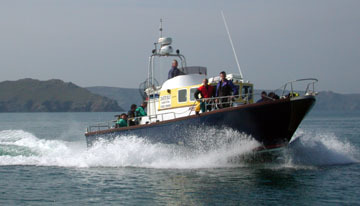 27th Sheep Island twice as divers loved it and too rough to get to Skomer. 28th High Point North 11 metres. Lots of octopus, spider crabs, nudibranch, crayfish. Seal encounter at Sheep Island. Vis very good. So good on Dakotian that divers dived it twice. Lucy had 10 metres and very bright! Vis 8 - 12 metres for the whole 9 days. Group commented that they saw more marine life on High Point North in one dive than they saw for a whole weekend elsewhere in Wales. Foggy first day so just one dive on Dakotian and then went fishing. Rest of the 4 days weather improved and vis was around 8 metres on Dead Eye, High Point etc. University group enjoyed their first encounter with seals. So much so they wanted same dive site twice. Vis generally around 6 - 8 metres. Generally vis approx 4 metres. Mixed dives, wrecks and reefs. Group enjoyed Behar and decided to dive it twice. Skomer Island on 29th & the Haven on 30th. Vis around 4 metres.